This image shows him wearing a jaunty civilian bow tie and a navy blue wool Union Army sack coat. The original image is believed to have been taken sometime between September 1862 and June 1864. An electronic copy of the original image, and written permission to post it on the 80th Indiana website, are courtesy of Brian and Triva Schrader. 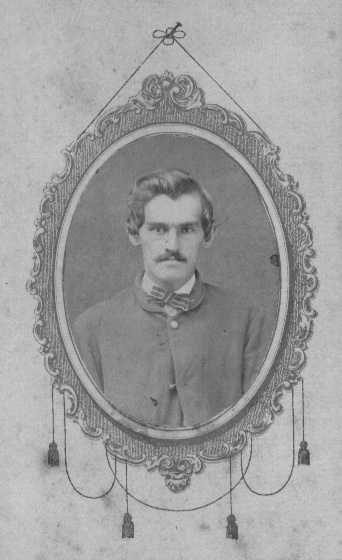 Frank was a resident of Patoka in Gibson County, Indiana when he enlisted in what became Company A of the 80th Indiana. He was mustered into the Union Army at the rank of 5th Corporal for a 3 year term of service on September 4, 1862 at Camp Gibson near the town of Princeton in Gibson County, Indiana. 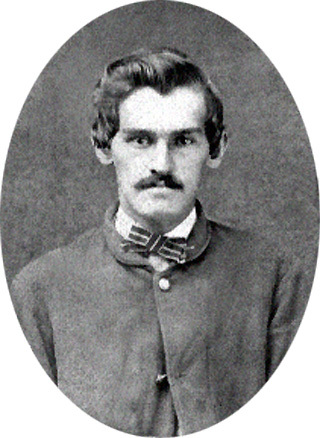 He was transferred to the Veterans' Reserve Corps (VRC) in June 1864. All Rights Reserved. Created December 8, 2004. Last updated December 16, 2004.